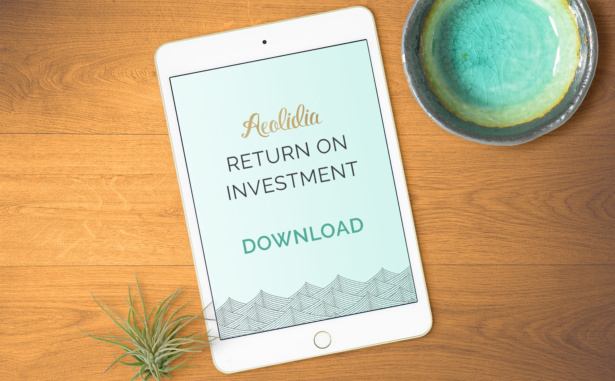 Your small but fast growing business is perfectly poised to make a big splash in online retail, and that’s exactly where Aeolidia loves to meet you. We are highly-ranked official Shopify Experts, with a history of exceeding expectations. Our work is strategic, completely custom, data-informed, and entirely goals-based. We like to get involved when we know our work can be transformative and cause exponential growth. Read more about what makes us different than the other designers you may be considering. Ready? If you’re ready to move forward with your business, and to invest in some outside help, we would love to be your team. More fully-featured websites may take longer than this. Same thing for logo projects that include additional packaging design work. We will discuss this with you and account for it in your unique project proposal. We’d be glad to discuss that with you in detail over the phone, but if you have big plans for trade shows, holidays, or your busy season in 2019, you’ll want to look at our launch dates above to make a plan. Remember that including logo design with a website adds 8 weeks to the schedule above. We are glad to book you up to 12 months in advance. When we do that, you lock in our current prices, have accountability to meet your business goals, and will get our support in the months leading up to your project. Please contact us if you’re interested in telling us more about your retail goals and objectives so we can put together a custom proposal for you. If so, we have a wonderful questionnaire for you to fill out.